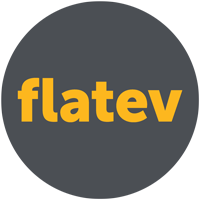 The Flatev Artisanal Bakery and Flatev Dough is Your Personal Baking System (PBS)! The closed baking system expertly prepares single servings of fresh tortillas, rotis, flatbreads, cookies and more with no fuss and no mess. A consumer simply pops a proprietary, recyclable, single serve dough container into the Flatev Artisanal Bakery, selects their desired setting, and soon enjoys a delicious, fresh treat in seconds.